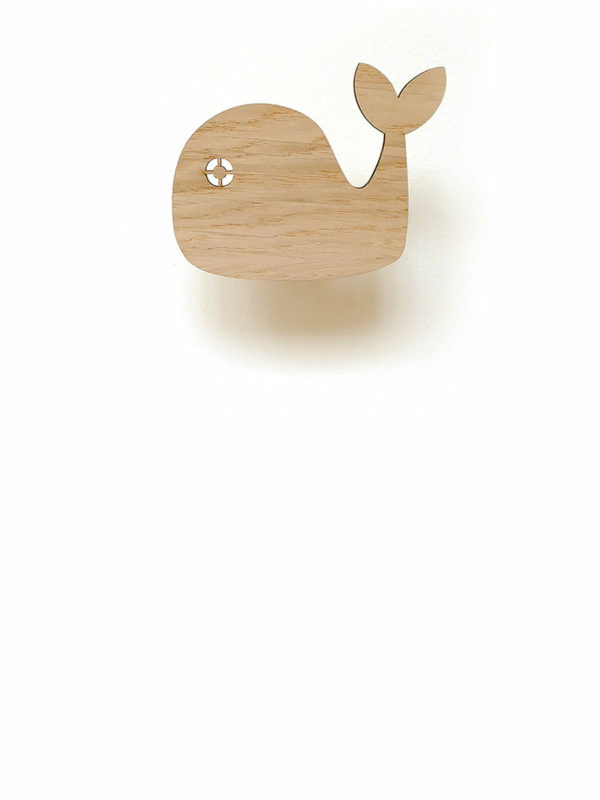 Add a little smile to your wall with this friendly whale! Made in The Netherlands from sustainable bamboo, easy to screw in wall and comes with plug and gift box. 10cm wide.